We’ve selected some of the most interesting shows of the Seville event. With such an elaborate program as that of the Bienal de Seville, that includes 25 days with two or three shows daily, it’s hard to decide and choose the options our budget permits. On the one hand, because the variety includes all disciplines and the entire gamut of the most varied tendencies. And on the other, because we’ll want to attend this or that debut, but also discover some artist or other we may not have had the opportunity to see before in live performance. To this end, in order to make it a little easier, and being aware that the most appropriate choice will depend on the personal taste of each spectator (not to mention what happens on stage on any given night), Deflamenco proposes a selection conceived as much for avid fans, as for beginners visiting flamenco territory for the first time, including dance, singing and guitar shows, from the classic to the most contemporary, as well as the full variety of venues. Needless to say, not everything is included, but we hope to get it right and that you enjoy your flamenco. 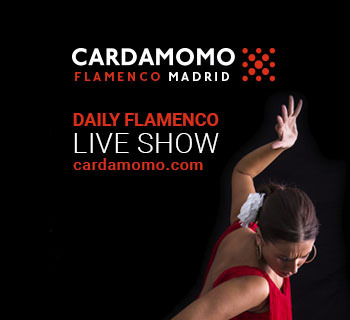 Inquisitive, creative, provocative, virtuoso, unique…Israel Galván has brought a revolution to current flamenco dance with innovative shows that delve into unexplored languages and propose a universe all his own. To such an extent, that whether you’ve never seen this dancer, or are a diehard fan of his conceptual dancing, we recommend you discover the revision he has worked of one of his most celebrated shows: Arena. An important show that surprised everyone at its debut in the 2004 Bienal, and which promises to do so again at the inauguration with the adaptation the Seville dancer has prepared for its staging at the bull-ring. Although his work has not always been equally well-received at the Seville event, Farruquito, maestro of a school of his own that inherited the values of his flamenco family, is a sure bet thanks to his savage racial and unique dancing. A charismatic passionate artist with impressive stage presence, who seeks out the most primitive essence and offers what he is, a major artist. Art in its purest state that will get you jumping out of your seat thanks to his self-assurance and sincerity. Inés Bacán y Niño de Gines. 9 September. Iglesia San Luis de los Franceses. Tickets: 20 euros. Singing. We can’t think of a better voice to accompany the baroque splendor of the impressive church of San Luis de los Franceses than that of Inés Bacán, an absolutely natural singer who seems to envelope you with her serene sound. The Lebrija woman, discreet and humble, has an imposing sweet voice that sways and lulls you into the depths. With her, will be Manuel Jesús, a precocious singer with up to fifty prizes from the most prestigious festivals and who surprises you with his knowledge and mature sound. Patricia Guerrero. Distopía. 9 September. Teatro Central. Tickets 25 euros. Dance. After being worthy of the Giraldillo for Best Show with her “Catedral” in the last edition of the Bienal, the first work with her own company, the young dancer continues with her promising career with the debut of a show that follows the dramatic line of the previous one, delving into the distortion of a world that moves between reality and imagination. With an elegant expansive subtle magnetic and brave style of dance, Patricia Guerrero surprises with her intelligence, and seduces the spectator with her expressive style and abundance of resources. Joaquín Grilo. Cositas Mías. 13 September. Lope de Vega Theater. Tickets 10 to 30 euros. Dance. Joaquín Grilo, whom we haven’t seen in the Seville capital in some time, is one of the most original dancers of current flamenco. 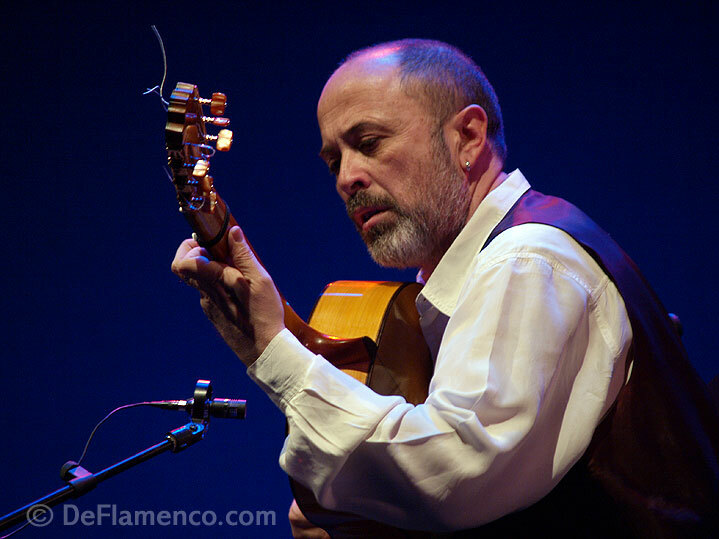 Natural, fresh, sensual and instinctive, his shows get into the richness of the flamenco universe of his hometown of Jerez, always centering on the most defining elements. A different kind of dancer who follows his own school which always has something new to offer. With one of the best voices of current flamenco singing, and a privileged throat, Pedro el Granaíno is an artist of great sensitivity who gives every bit of himself. His name is already was put into circulation among the candidates for the Giraldillo for singing in 2016 thanks to a memorable performance alongside Rancapino junior, and it would be no surprise if in this recital the coveted prize confirmed the fine artistic moment in which the singer finds himself (as recently stated regarding his performace in the Jueves de Cajasol). Faithful to the classic forms, but innovative and creative in his interpretations, the singer is capable of moving all spectators thanks to the emotion that imbues each line. Tomasito y Gipsy Rap. 18 September. Café Alameda. Tickets 20 euros. Singing. Original, irreverent, amusing and natural, Tomasito, as Silvia Cruz Lapeña said in last year’s review of his performance at the Festival Flamenco On Fire, is “the joy of polkadot underwear”. Without a doubt, if you want to forget your troubles and enjoy the best fusion, don’t miss this artist with the sassy behind who sings, dances, recites and whatever else is necessary, infecting the audience with the enthusiasm he exhibits each time he sets foot on stage. Rhythm, rhythm and more rhythm in this unclassifiable individual so full of art. La edad de oro. With Pastora Galván and Miguel Ortega. 19 September. Lope de Vega Theater. Tickets 10 to 30 euros. Dance. If Arena crowned Israel Galván as the revolutionary of contemporary flamenco dance, La Edad de Oro confirmed him as the artist we know him to be, this being without a doubt one of the shows that has given him the most satisfaction throughout his career. A work that made us look at the golden age of flamenco from other angles and which is now brought to life by his sister Pastora Galván, a generous dancer with Galvanistic moves, although much more earthy and carnal. She’ll be accompanied by the beautiful sound of Miguel Ortega and the inspired guitar of Juan Requena from Málaga. Rafael Rodríguez. Thursday 20 September. Espacio Turina. Tickets 15 to 20 euros. Guitar. We know Rafael Rodríguez as being a guitarist who regularly enriches every show in which he participates with his fine accompaniment. A master of back-up who has given us some memorable moments at the Seville event where he was awarded the Giraldillo for Accompaniment in 2008, but since that time has not been able to exhibit his art in a solo recital. Which is why this performance, titled Dejándome Llevar, is one of the most anticipated of the guitar series to be presented at the Espacio Turina, and which is a fine opportunity to hear the richness of his classic sweet playing in an intimate atmosphere, and at the same time discover his most “hippy” facet, as he himself stated in a press conference. Prize for Best Newcomer at the Festival de Jerez, María Moreno brings her De la Concepción backed up by Eva Yerbabuena and Andrés Marín in the stage and musical direction respectively. 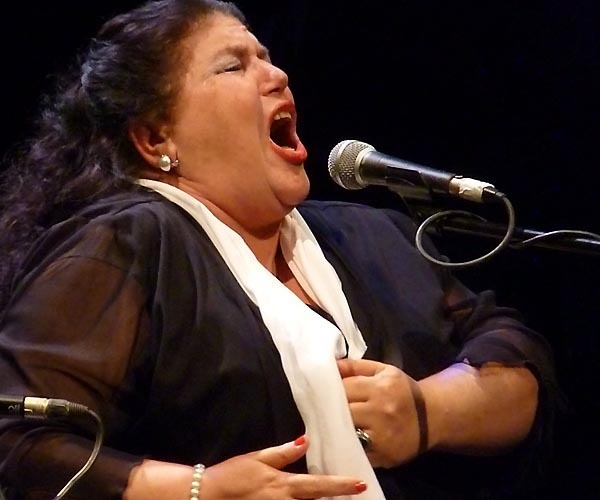 The Cádiz dancer, who has shared the stage with the most important stars of flamenco singing and dance, thus consolidates a solo career in which she has gradually earned the respect of critics and audiences thanks to the personality of her dancing, her taste for the classic forms and her strength. Looking forward to seeing her. Tía Juana la del Pipa, Remedios Amaya y Juana Amaya. 27 September. Maestranza Theater. Tickets 22 tp 40 euros. Singing and Dance. With the show “Gitanas”, the Maestranza theater receives three goddesses of flamenco singing and dance. Three powerful visceral and authentic women who give everything each time they step on stage. Three veteran of pure and genuine art. 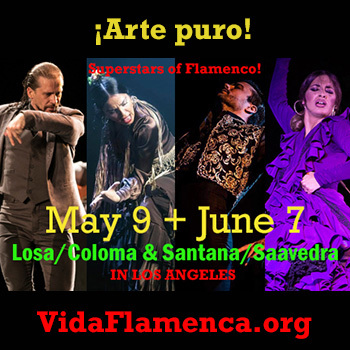 From the sobriety of the rotund Jerez singer Tía Juana la del Pipa, the melodious sentimental sound of Remedios Amaya – one of the loveliest female voices of recent decades – to the commitment and generous depth of dancer Juana Amaya. Three powerful interpreters who trigger cheers of “ole” with their innate wisdom. Dorantes. 30 September. Puerto de Sevilla. Tickets 30 euros. Piano. Dorantes is not to be missed because he is one of the best current musicians, even above and beyond flamenco. His creative freedom, the originality and beauty of his compositions, his perfect execution, the depth he draws from the piano keys and the elegance of his work make his recitals unforgettable experiences. Forget everything, let yourself get carried away by his melodies and enjoy the excellence of this pianist who takes us on a voyage. As we said at the beginning, the choice of shows has a lot to do with what you’re looking for. For this reason, aside from the work already mentioned, we’d recommend Calixto Sánchez, José de la Tomasa and Pepa Montes at the Maestranza (September 9th) for people with classic tastes, as well as the encounter “Son de Peñas” featuring Manuel Cástulo, Alicia Gil, Luisa Palicio and Rafael Campallo at the Hotel Triana (14th) and the concert of Niño de Pura and Manolo Franco on the 17th at the Lope de Vega. Those looking for more contemporary shows mustn’t miss the debuts of Andrés Marín’s “D. Quixote” (September 16th), “Grito Pelao” of Rocío Molina with Silvia Pérez Cruz (September 18th and 19th at the Maestranza), the new show of Ana Morales “Sin Permiso“ (Canciones para el Silencio), the concert of Rosario la Tremendita (September 10th) and Gerardo Núñez & ULF Wakenius & Cepillo (24th). And lastly, those looking for surprises should not miss the concerts of Alfredo Lagos (14th), Tomás de Perrate (19th), José Quevedo “Bolita” (20th), David Carmona (21st ), David Lagos (26th) and Rosalía (28th) whose presence in the festival has provoked the most controversy.